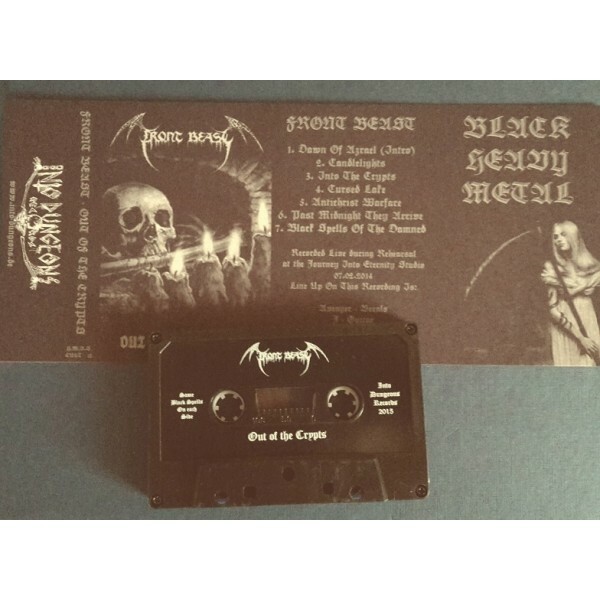 H.M.S.S.-Cult-12, Black Metal from Germany. The first Front Beast recordings with a full line up getting ready for the first ever FRONT BEAST live gig. In early 2015 a.y.p.s. during a cold winternight, drenched in candlelights, this rehearsal ritual was captured on tape. The result are 7 classic FRONT BEAST black heavy metal spells recorded live at rehearsal with a multitrack recorder.